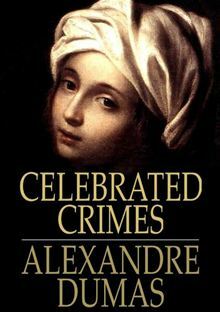 From 1839 to 1841 Dumas, with the assistance of several friends, compiled Celebrated Crimes, an eight-volume collection of essays on famous criminals and crimes from European history, including essays on Beatrice Cenci; Martin Guerre; Cesare and Lucrezia Borgia; and more recent incidents, including the cases of executed alleged murderers Karl Ludwig Sand and Antoine François Desrues. This book is the whole series combined. 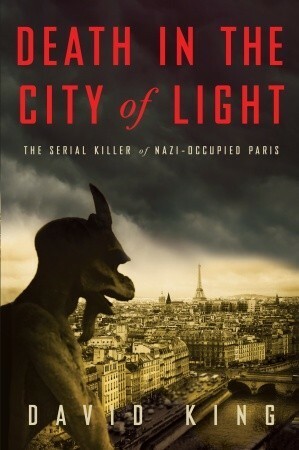 Death in the City of Light is the gripping, true story of a brutal serial killer who unleashed his own reign of terror in Nazi-Occupied Paris. As decapitated heads and dismembered body parts surfaced in the Seine, Commissaire Georges-Victor Massu, head of the Brigade Criminelle, was tasked with tracking down the elusive murderer in a twilight world of Gestapo, gangsters, resistance fighters, pimps, prostitutes, spies, and other shadowy figures of the Parisian underworld. 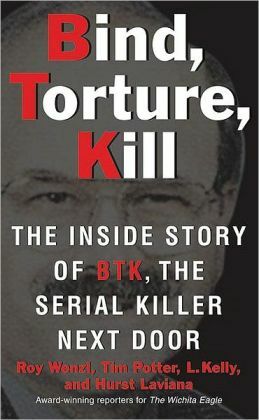 Now that he’s in prison serving ten consecutive life sentences, the whole world knows that Dennis Rader is BTK. But the intricate twists and shocking turns of this story have never before been told by the people who were intimately acquainted with the BTK killer and Rader the family man, or by the dedicated cops who finally caught him. “Bind, Torture, Kill: The Inside Story of the Serial Killer Next Door” takes readers behind closed doors, revealing the full and horrific tale as seen through the eyes of the killer, his victims, the investigators, and the reporters who covered it all. Between 1841 and 1844, Edgar Allan Poe invented the genre of detective fiction with three mesmerizing stories of a young French eccentric named C. Auguste Dupin. Introducing to literature the concept of applying reason to solving crime, these tales brought Poe fame and fortune to live on. Years later, Dorothy Sayers would describe “The Murders in the Rue Morgue” as “almost a complete manual of detective theory and practice.” Indeed, Poe’s short mysteries inspired the creation of countless literary sleuths, among them Sherlock Holmes. 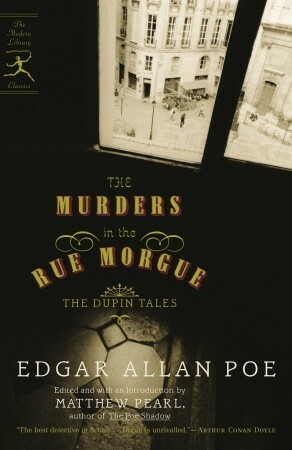 Today, the Dupin stories still stand out as unique, utterly engrossing page-turners. 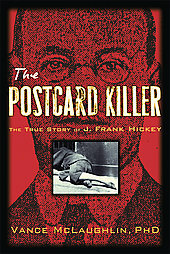 In 1912 John Frank Hickey, “The Postcard Killer,” was one of the first known and captured serial killers. This fascinating story tells how a solitary milquetoast of a man wandered the American east coast for decades, harboring a terrifying assortment of personal demons. Many of the behavior patterns that have long since come to be trademarks of the sociopathic killer are revealed in Hickey’s long, demented life of crime. Unfortunately, the police and investigators in the early 20th Century had few if any tools to battle with a solitary individual’s compulsion to murder young newsboys who wandered the urban streets alone. From his first murder at eighteen until his capture and conviction nearly three decades later, Hickey traveled and worked at anonymous clerical or engineering jobs while he committed murders of breathtaking brazenness, sometimes attacking in open view. Hickey was well into middle age when his need for public attention drove him to taunt his victims’ families and mock the police. 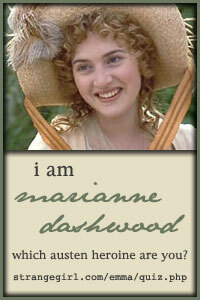 He began a long series of correspondence about his crimes in the form of postcards. He enjoyed knowing that they could be read by anybody while they were en route. The postcards eventually formed the net that snared him. 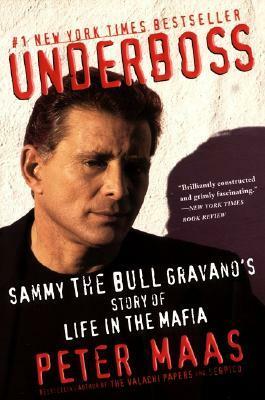 Sammy the Bull Gravano is the highest-ranking member of the Mafia in America ever to defeat. In telling Gravano’s story, Peter Maas brings us as never before into the innermost sanctums of the Cosa Nostra as if we were there ourselves–a secret underworld of power, lust, greed, betrayal, and deception, with the specter of violent death always waiting in the wings. 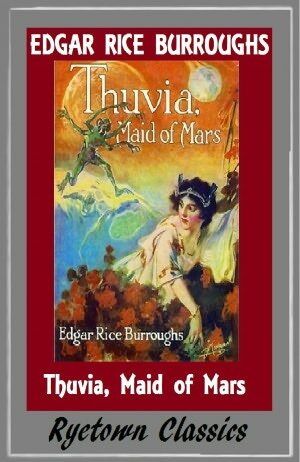 Posted by Belleza on January 5, 2013 in 2013 and tagged Also a page, What I'm Reading.